Not long ago, the Philippine government realized that the current SSS contribution scheme was not enough to fund the pension for those retiring in 2032. For that reason, Republic Act 11199 (RA 11199) was signed, in which mandated a series of increase in the SSS contribution hike starting in April 2019. Under the new scheme, the SSS funds could go up to P31 billion more. In 2018, the total revenue reached up to P212.57 billion, which was still not enough to cover the benefits due to the total SSS funds expenditures went up by 5.33%. 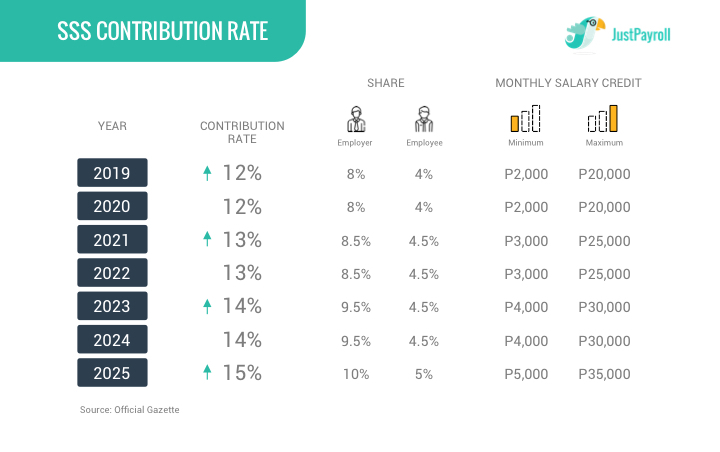 As seen in the new SSS contribution table, the employee share will be 4% (in 2019 until 2020), which was 3.63% in the previous year. The SSS employee share goes up to 4.5% in 2021 until 2024, and 5% in 2025. With the additional P31 billion generated from the new scheme, contributors may enjoy their benefits up to the year 2045, 13 years longer than was expected. Besides the pension fund, the new SSS contribution hike will also give a higher amount of benefits and loan privileges. SSS Officer-In-Charge, Aurora Ignacio cites an example of the new benefit is that an employee with an earning of P20k may enjoy a benefit of P600 sickness benefit per day, previously it was set to P480. 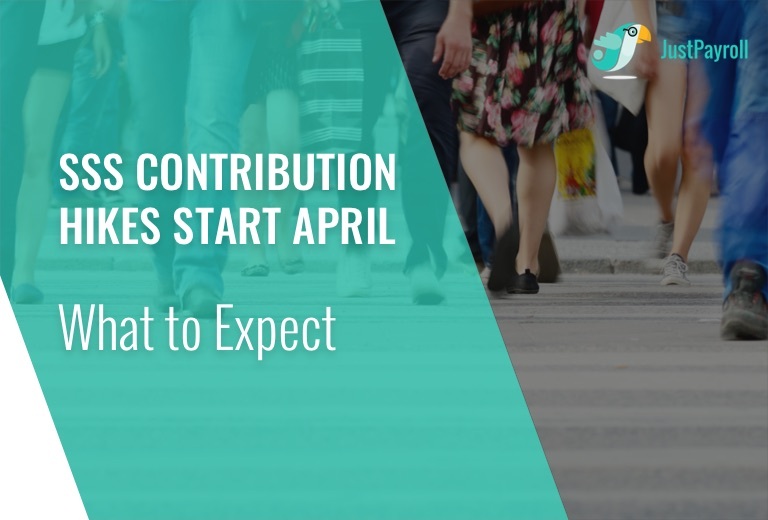 For the employers, the contribution share for the employers will be set to 8% in 2019 and 2020. It goes up to 8.5% in 2021 and 2022, and 9.5% in 2023 and 2024. Finally, in 2025, the share will be 10%. Payroll-wise, employers should be more vigilant to when the new employer shares for the SSS takes in effect to avoid complications with the statutory regulations. This means ensuring formulas or payroll systems are constantly updated or in line with the new SSS contributions. The new SSS contribution scheme is one way of adapting with the times, at least for the next six years, which will reap benefits for the more than two decades ahead. However, despite the new scheme, the recently resigned SSS President and CEO Emmanuel Dooc expressed concerns over the collection process. Per him, only 16 million of the 38 million registered SSS members are actively paying. On that note, the SSS has been getting more strict in capturing and penalizing non-compliant employers. Keeping up with the latest statutory regulations for payroll could get complicated, but it doesn’t have to be complicated… After all, there’s JustPayroll. We offer unlimited updates in our payroll solutions for FREE so you worry less, or don’t worry at all, with latest changes in the statutory regulations. Simply fill out the form below to book your free online demo.